It was a Houston summer– hot and sticky. We had just come home from church, and I was in a terrible mood. Why do we always have to wake up and go? I just want to sleep in. And I hate wearing this suit. My mom yells at me because I keep teasing my sister. My dad walks through the door carrying a plastic bag. He doesn’t attend church with us, that lucky dog. He tells us he bought pho. As we’re changing out of our nice clothes, he begins to warm up the broth and get everything ready. Pho’s become a weekly tradition for our family. He lays out 5 bowls, putting the noodles in each. I notice that 2 of the bowls didn’t get as much as the rest. He casually mentions that he and mom don’t really like eating the noodles. I don’t think much of this. They’ve always preferred more rice in their broth. 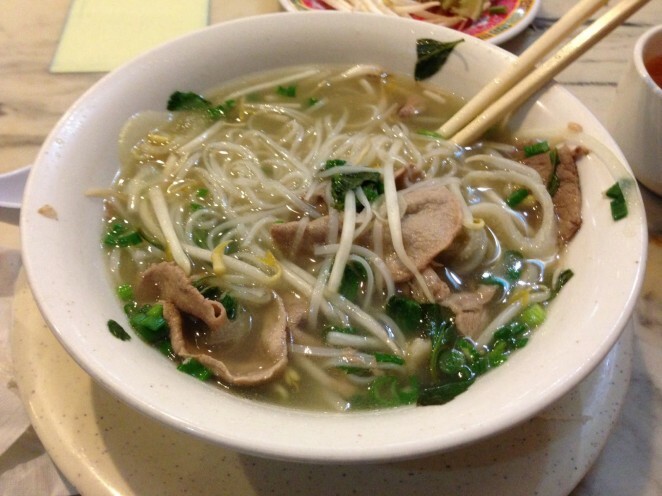 He scoops rice into their 2 bowls, and then pours in the broth, and pho is ready! We all gather around the table, and then we eat. It wasn’t until much later that I realized what the implications of that were. It just seemed normal, as if all other families did this. I knew we didn’t grow up as privileged as some of the other kids at school, but I never felt like our family was missing anything. And looking back, they did a mighty fine job shielding us from a lot of the realities of our situation. I would be so lucky if I could only inherit a quarter of their strength.